Start with three 32 oz. bottles of water or sparkling water. Cut 3 limes into thin slices. Cut 3 lemons into thin slices. Cut mint into 12 sprigs. Prepare raspberry flavored powdered drink mix and set aside. Assemble 12 mason jars with lids. Put mint sprigs and lime slices into 4 jars, fill with water and seal. Place lemon slices into 4 jars and fill with water and seal. Fill 4 jars with raspberry flavored powdered drink mix and seal. 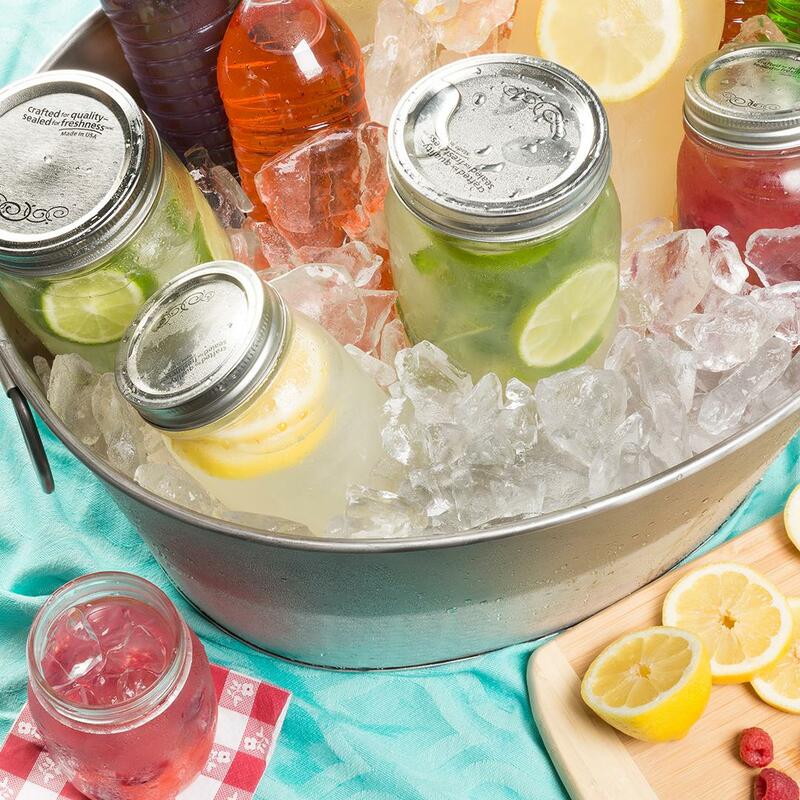 Place jars into ice tubs. Serve remaining sippers in pitchers.